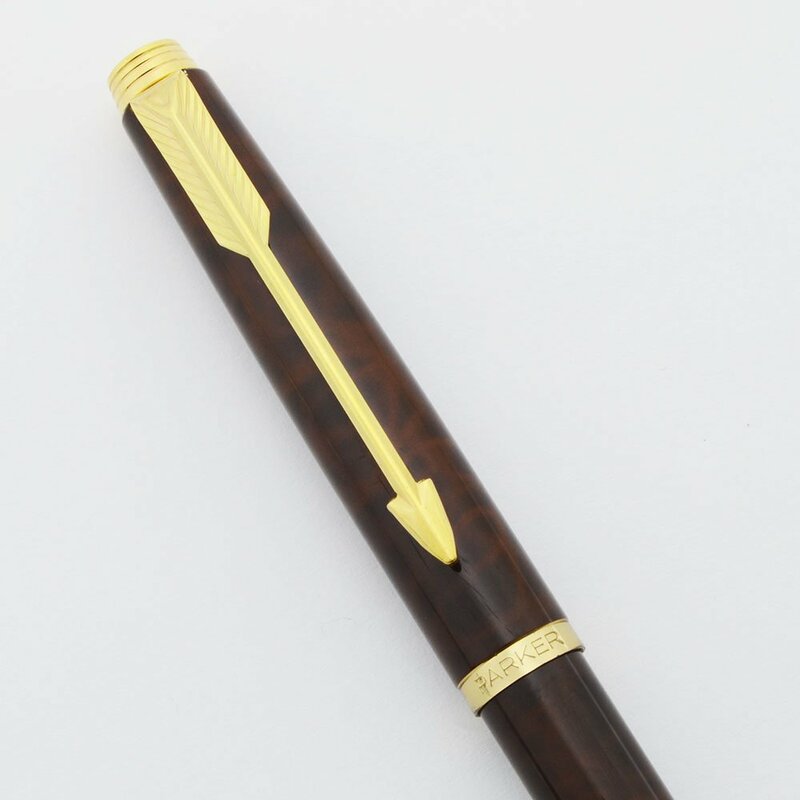 Parker 75 mechanical pencil from the Lacquer Collection using Chinese lacquer. This is the Thuya color with mottled shades of brown. Chinese lacquer version in brown marble with subtle patterning. Excellent + condition. 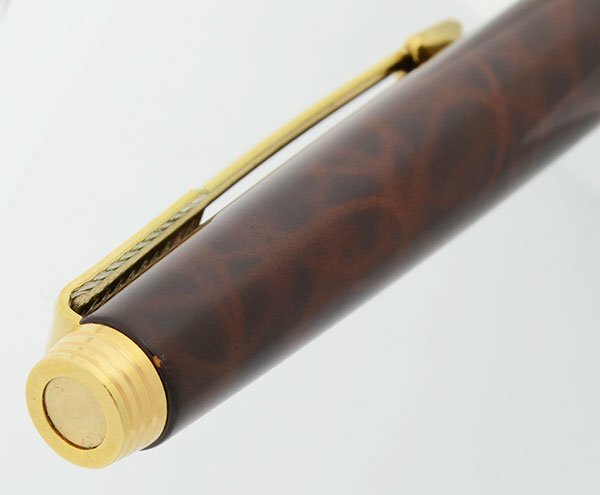 Manufacturer and Year Parker, France -- 1981-94, these are the years this finish was produced. This particular pencil lacks a date code which leads us to believe it is from the early 1980s. The date code system was re-introduced in 1980. Filling System It takes a 0.7mm lead. The entire cap acts as a button to extend and retract the lead. Color Thuya is a brown and dark brown Chinese lacquer. This is commonly described as brown and black Chinese lacquer. The pattern is mottled and the trim is gold plated. Condition Excellent + condition. The barrel looks beautiful with just some light scratching. There is a flaw in the enamel near the tassie (see photo). There is a light scratch just above the France imprint on the cap. There is a little scratching on the tassie but the trim and clip are otherwise lovely. The mechanism that extends the pencil lead works great. No cracks, chips, dents, dings or personalization. Imprints are clear.